Today’s photo features two teams on a (surprising) winning streak. When I took this photo, both teams were 0-3 in the Pac-12. 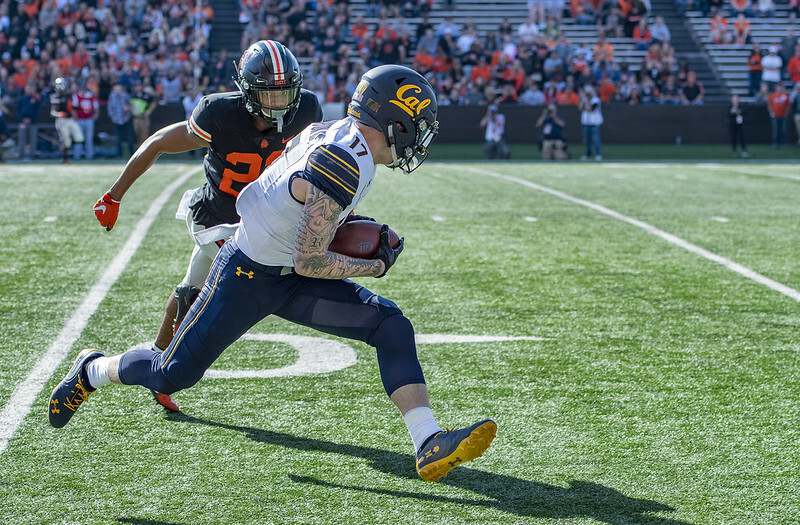 Cal won the game and then went on to beat #15 Washington yesterday. Oregon State University beat Colorado yesterday to further the Pac-12’s gravity towards the center. 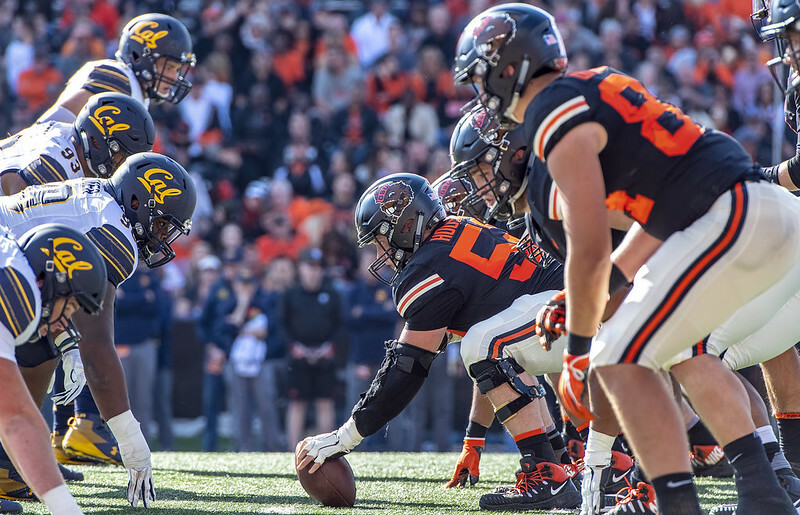 Today’s sequence comes from this past Saturday, when I was on the sidelines for the Beavers vs. Bears game in Reser Stadium on the campus of Oregon State University. Vic Wharton III caught this pass for a near touchdown. Cal won by a score of 49-7. 5️⃣5️⃣ yards on that Chase Garbers ➡️ Vic Wharton connection. I didn’t take today’s photo. I don’t know who did. I like the looks of it though. The Barn was built in 1907, and, as the photo shows, is still regularly used today. 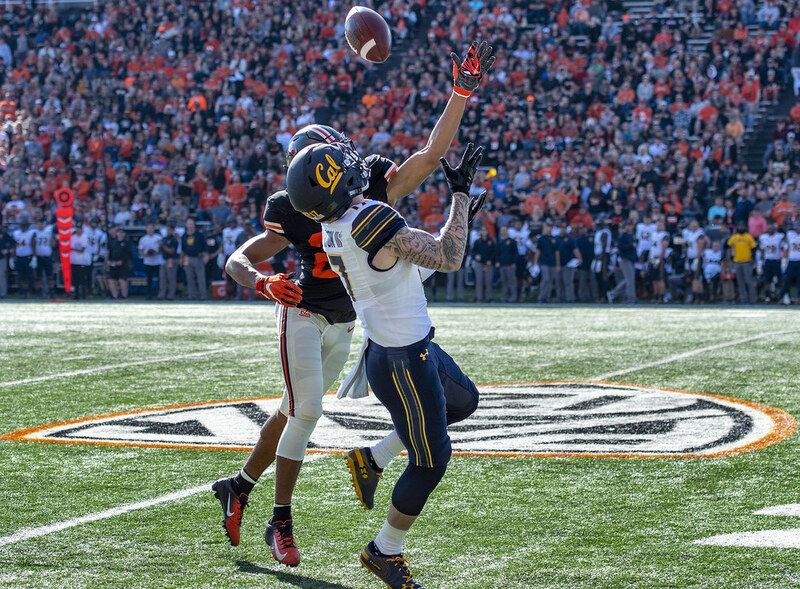 Today is the 2016 Civil War game in Corvallis. We’ll be watching on TV from Ashland. With a Duck and a Beaver in the family, the game will finally become interesting for us. Even though the ramifications aren’t as large as the game in Washington, yesterday, this may actually be a decent game for once as OSU and UofO have identical conference records for the first time in ages. I’ve actually never been in Reser Stadium, a fact I need to get corrected next season. Today’s photo is from my daughter’s dorm.